This St Patrick’s Day, Irish online TV platform Aertv, will live stream a digital alternative to the traditional parade coverage on RTE. For the first time on Aertv, a unique 2 hour live production hosting parade festivities and featuring familiar faces from the sporting and music world will be streamed worldwide for free from 12pm on 17th March. The world renowned festival parade is the principle event on the annual St Patrick’s Day programme. Meandering down the 3km route through the heart of Dublin City, the parade features artistry, creativity and musicianship in a sea of colourful celebration. Aertv’s alternative coverage is embracing digital and is seeking fun messages both home and abroad through various social channels, to be featured in the production. Darragh Doyle (@darraghdoyle), the Community Manager for Riverdance, Heartbeat of Home and the @ireland twitter account, will be leading the live commentary and encouraging viewers to join the conversation online. Through working with and promoting Diaspora projects for the last three years and with online followers around the world, he brings a disparate audience to Dublin for the day. Having volunteered with the St Patrick’s Festival in Dublin for 10 years, Darragh hopes to share his love of the Festival and his love of Dublin with those around the world missing home, missing Ireland and especially the atmosphere on March 17. People at home are encouraged to share and get behind the event by spreading the word to friends and family outside Ireland, to tune in and enjoy St. Patrick’s Day through Aertv. 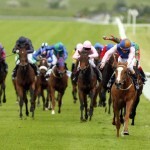 “An event like St Patrick’s Day is made for all digital technology has to offer. Aertv gives real accessibility to events like this, on every platform and device. Everyone is Irish on St Patrick’s Day and with the numbers living overseas, the team at Aertv are really keen to bring a unique angle from the streets of Dublin to people all around the world, says Philippe Brodeur, Aertv director. Last year, Aertv partnered with The Gathering Ireland to live stream the St Patrick’s Day People’s parade which proved a big favourite attracting over 40,000 streams. 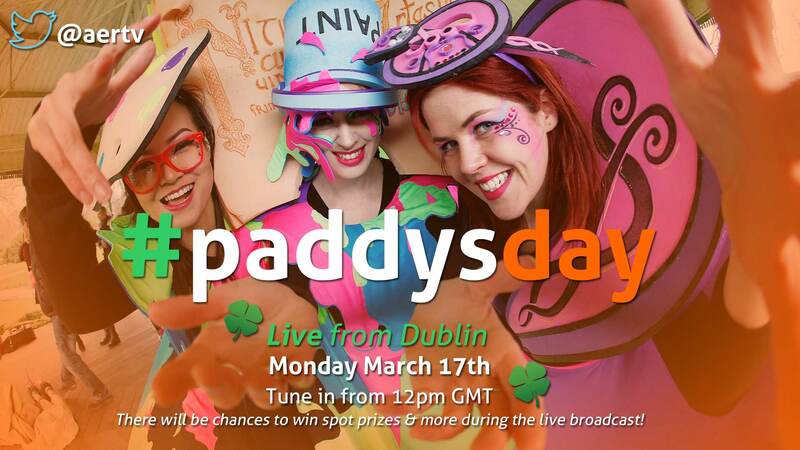 To follow the event and for a chance to win spot prizes on Twitter, use the Hashtag #paddysday and follow @Aertv. Record video messages on your phone and post on Twitter/Facebook/Vine to @aertv using #paddysday or send it in to paddysday@aertv.ie to be featured in a unique live stream. The Aertv app is available to download now in the iTunes store. I’m shoekcd that I found this info so easily.